Now Accepting Submissions for the Spring 2018 Issue! 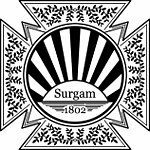 Welcome to the modest website of Surgam, the literary magazine of the Philolexian Society. Here, you can find previous issues, read about our society, contact our leadership, and submit to the upcoming issue. This page will be updated regularly with the dates and times of events and deadlines, along with any other relevant announcements. We want to make the magazine as good as it possibly can be, so if you have any thoughts or comments, please feel free to share them with us. We hope that you enjoy the fruit of our efforts and that, if you are yourself an artist, you submit your work for consideration.